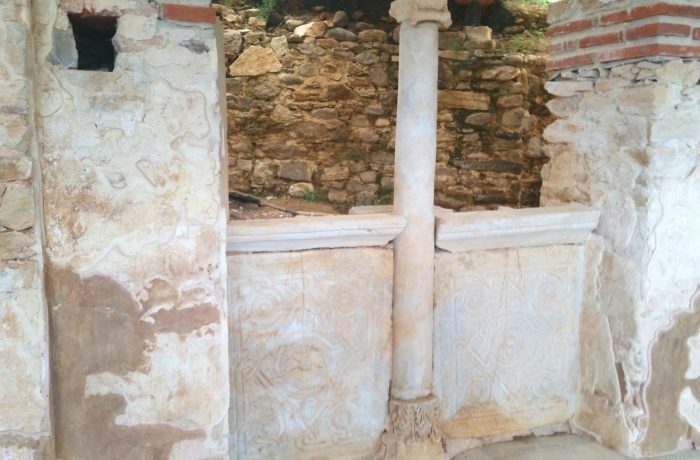 Located in Ouranoupolis, about 40 meters beyond the Mount Athos borderline. It was dedicated to Prophitis Ilias (Prophet Elias) and it must have been founded around the year 991 AC. It is the only one Monastery of Mount Athos which could undergo a study. The excavations works are still running. Visitors are accepted upon request. Until 1924 it was a monastery dependency of the Russian monastery, later an annexe of the American Red Cross, while during the Nazi Occupation (1944) it was bombed by the Bulgarian conquerors. 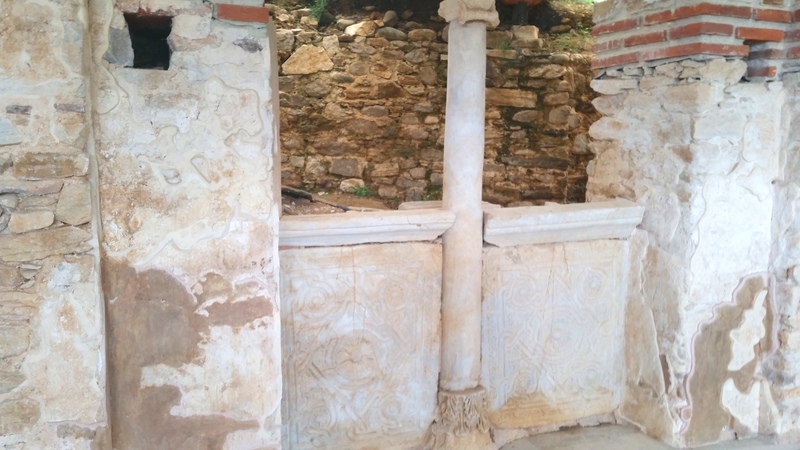 In 1999 the City Council of Moudania decided to grant the area to the 10th Ephorate for Byzantine Antiquities, to undertake the necessary restoration works and to use the “Justinian”, as it was named by the archaeologists, as the Center for Byzantine Culture in “Halkidiki”.